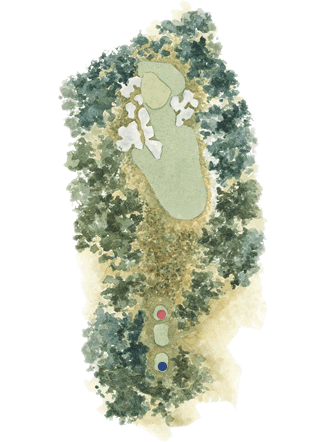 The downhill par three sixteenth hole is the longest par-three on either course. The green is guarded by a sprawling nest of bunkers to the left, and more bunkers short and to the right of the green. Designed to catch the weak push, these also serve as a strategic test for the short hitters, who will probably take three shots to reach the green .